The next four recordings feature superb blues played on a variety of instruments, including banjo, mandolin, violin and harmonica. These tracks are engaging, entertaining and wholly original. Sadly, this kind of variety would soon be a thing of the past, as the Great Depression limited recording opportunities for all but the most successful blues artists. 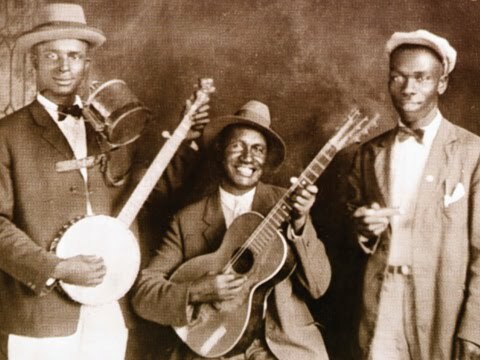 Gus Cannon was a seminal figure in the Memphis jug band scene, and “Walk Right In” is his most famous composition. It has been covered by many artists since, but the original is hard to beat. Cannon plays banjo and sings the vocals, with some excellent support by Noah Lewis on harmonica and Hosea Woods on kazoo and backing vocals. 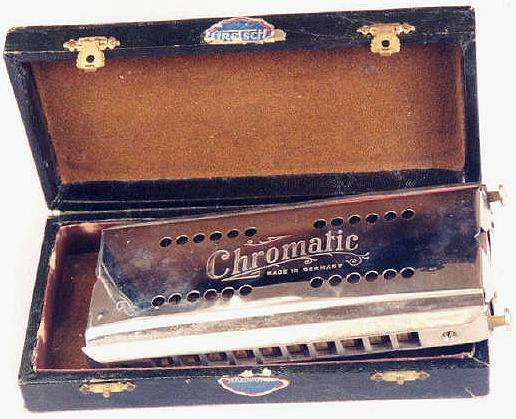 Lewis’ harmonica is very subdued and is not the first thing many listeners will notice, but it is the key to the entire record. The harmonica is present at just about every point in the song, and Lewis shows a tremendous range throughout. The singing is well done also, and Woods’ lengthy kazoo solo during the bridge shows what that instrument is capable of in the hands of a master. Fellow bluesman Big Bill Broonzy described John Estes’ music as “crying the blues,” because of his emotionally expressive vocal style. That voice is in fine form as he sings some classic lyrics on “Milk Cow Blues,” one of his earliest hits: “Went upstairs to pack my leavin’ trunk / I never saw no whiskey, but the blues done made me sloppy drunk.” Estes plays just a very basic rhythm part on guitar, but is accompanied by piano and an out-of-tune mandolin played by James “Yank” Rachel. That mandolin keeps the whole record slightly off-kilter, but Rachel’s picking is outstanding and shadows Estes’ vocals extremely well. 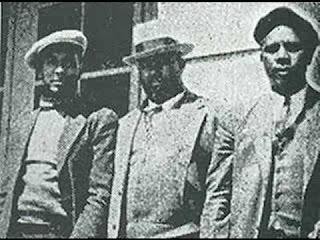 The Mississippi Sheiks were an African American string band from the Jackson, Mississippi area consisting of Lonnie Chatmon on fiddle and Walter Vincson on guitar and vocals. “Sitting on Top of the World” was their biggest hit, and has become a blues standard. While the instrumentation is the same as that used by white, “hillbilly” string bands, the pace is much slower and it has a distinct blues feel to it. Vincson’s strong voice bears as much resemblance to Jimmie Rodgers (sans yodeling) as it does to his fellow Mississippi bluesmen, which further underlines this band’s unique blend of country and blues. The lyrics paint a bleak picture of lost love, but sound an optimistic note in defiance of the song’s overall melancholy feel: “But now she’s gone / I don’t worry / I’m sitting on top of the world.” It is a simple but very well constructed record. Vincson picks out a slow beat on his guitar with small flourishes at the end of each verse, while Chatmon expertly carries the melody on fiddle, stretching out sad, vibrato-filled notes. James Simons, a.k.a. “Blues Birdhead,” cut only one record and is not well remembered today, but he was very influential in the development of the harmonica as a blues instrument. He was the first to “over blow” the instrument on record, a technique which greatly increased its range. Simons puts that full range to good use on this record, urging every conceivable sound out of his harmonica in a truly remarkable performance. With piano accompaniment, he displays a jazz musician’s instinct for improvisation, sustaining a soft, vibrato-filled note one moment, then launching into an impressive cascade of notes the next. He makes the harp sing, then growl, then wail, and at one point he and the piano both launch briefly into a breakneck boogie woogie rhythm. The best part may be near the end, when it appears that the record is fading out on a final sustained note, but Simons playfully comes back with just a little bit more.